Flagstaff public education advocates are going for the money, and more of it. 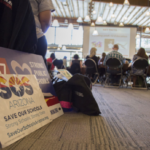 Some 50 Flagstaff educators, high school students, business leaders and government officials met at an Arizona Town Hall community meeting on Sunday. The group recommended renewing and expanding Proposition 301 to a full one-cent tax and using the money to help support an increases in teacher pay and other programs. The tax expires in 2020. “We need a source of education funding that is independent of the Legislature,” said Nat White, the representative of one of the 10 small focus groups created at the event. 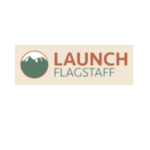 July was a busy month for the partners of LAUNCH Flagstaff and the coming months are shaping up to be even more exciting, so stay tuned! Here are just three highlights from July.